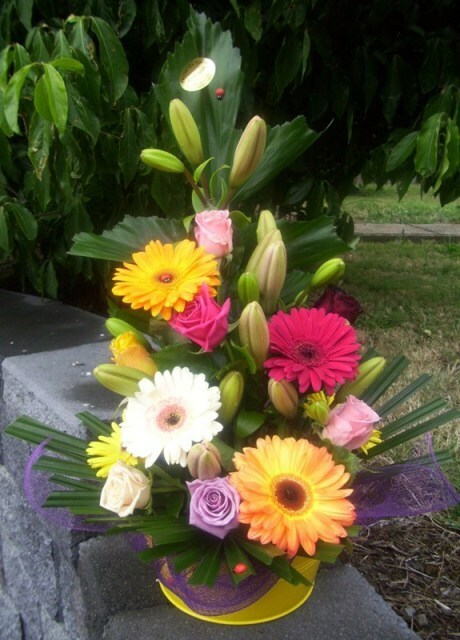 Gerberas, Roses, Asiatic Lilies, Tropical Foliage. Presented in bright colours with net in a pot. Stunning and suitable for any occasion.